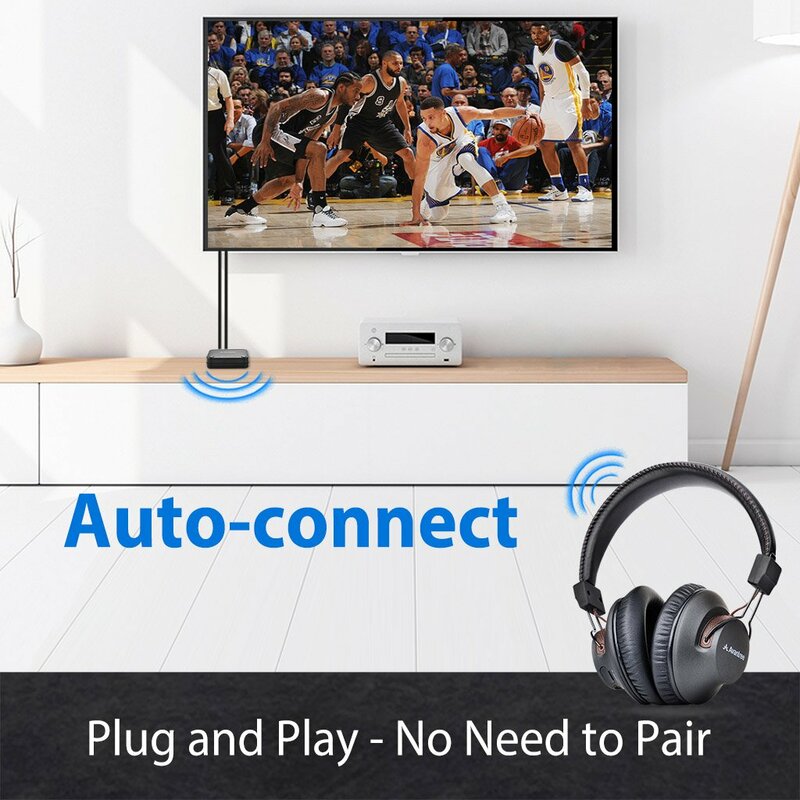 ?NO TECH KNOWLEDGE NEEDED ?True to the term ‘Plug & Play’, our headphones and Bluetooth transmitter connect automatically once turned on – so you don’t need to pair them. 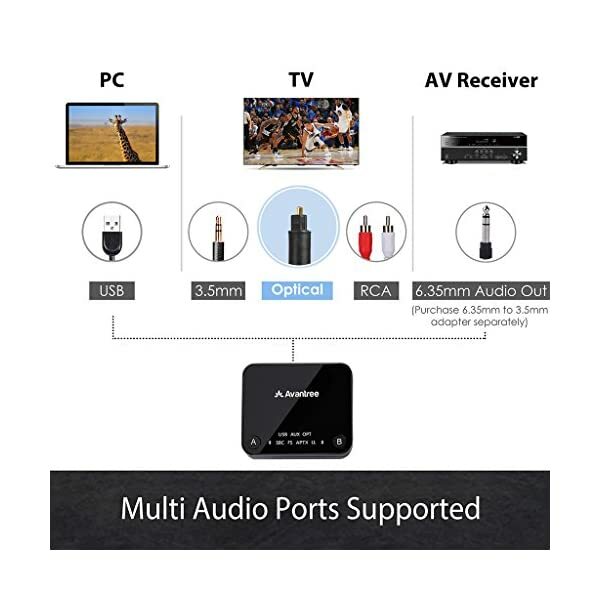 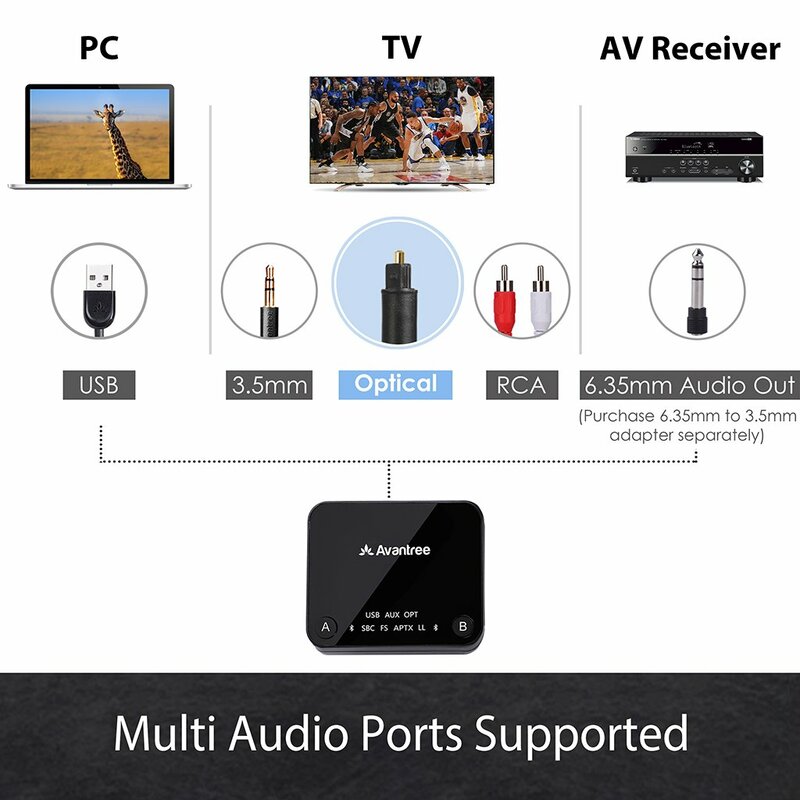 ?CONVENIENTLY COMPATIBLE?Whether you are playing games on your PC or watching your favorite show on the latest model of TV, our HT4189 offers the flexibility and compatibility with any devices with optical, AUX / 3.5mm or RCA audio out ports. 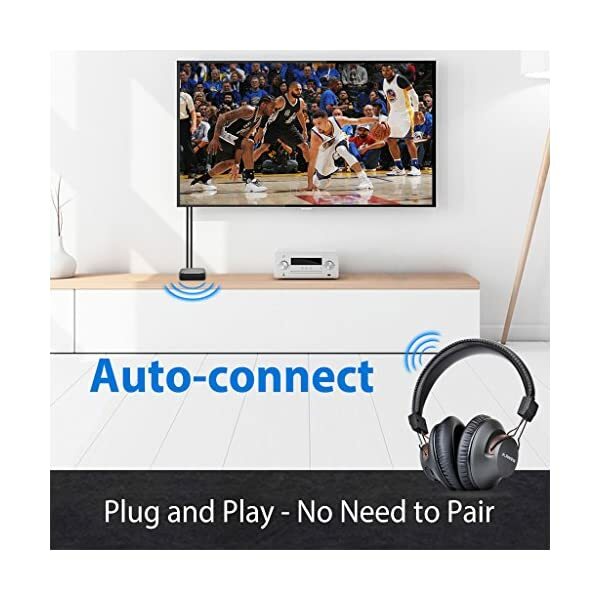 ?WORKS TOGETHER… AND APART?Our headset offers the convenience and flexibility of being used both with the included transmitter or with other Bluetooth transmitting devices – including your phone, PC or TV! 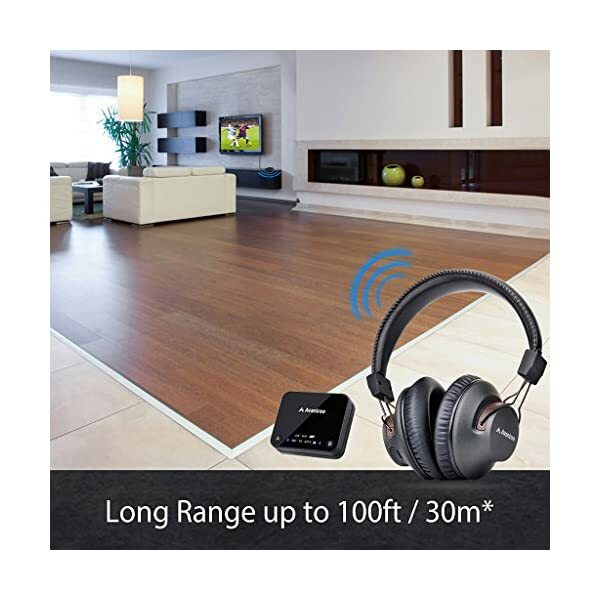 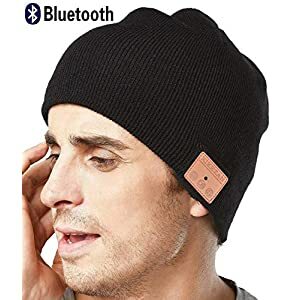 The transmitter can also be paired with other Bluetooth receiving devices including other headphones or speakers in your home. 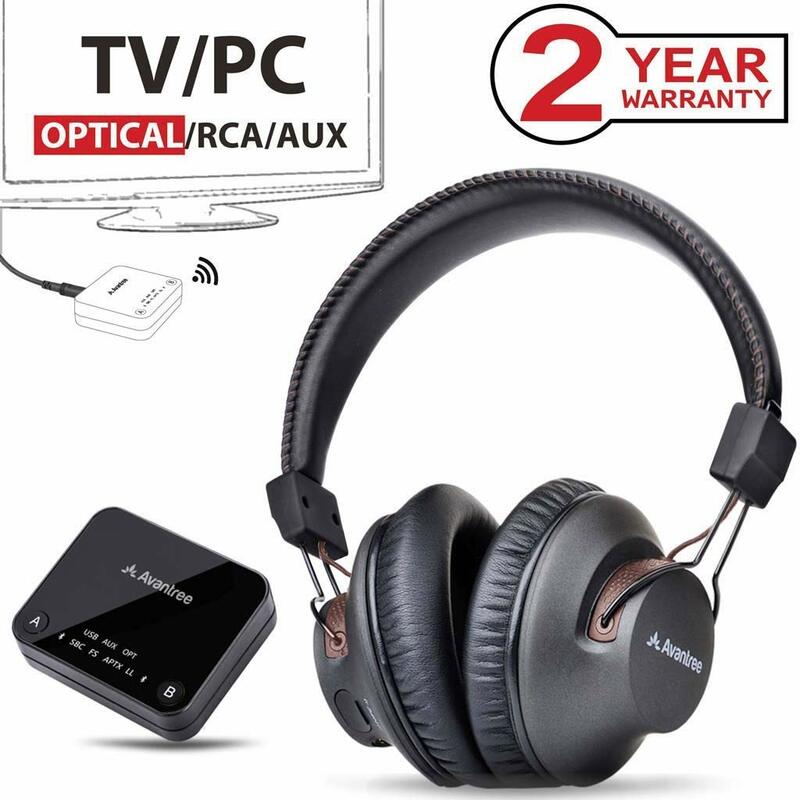 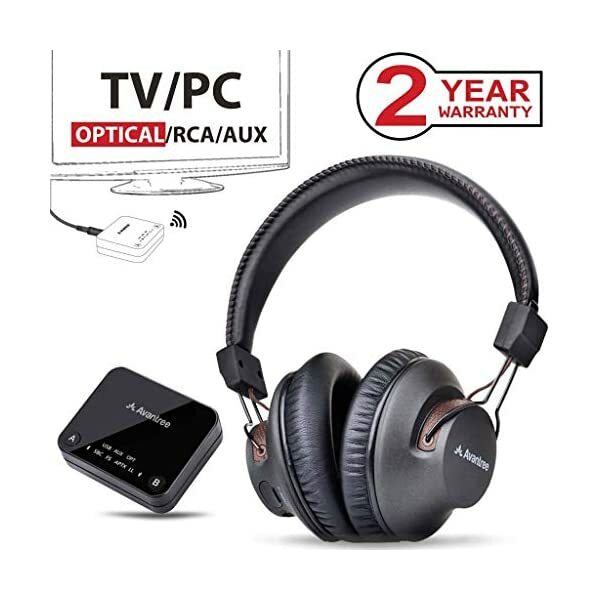 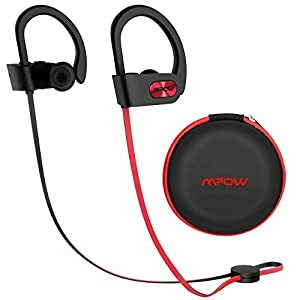 Note: Other 2.4G / RF TV headphone Sets CANNOT be used seperatly with bluetooth devices because 2.4G technology is not compatible with bluetooth. 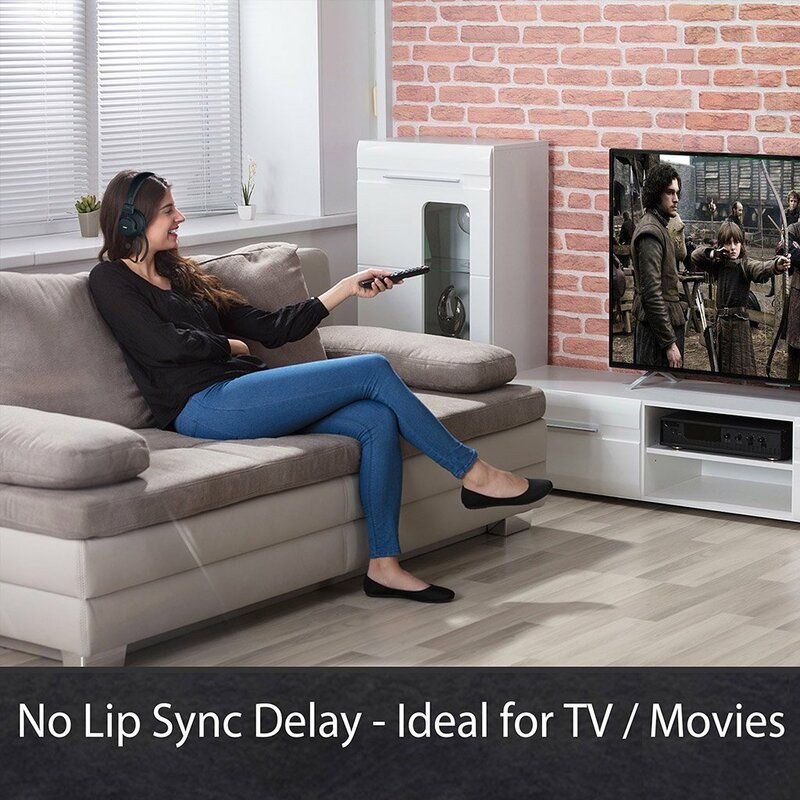 ?NO MORE DELAY?Featuring FastStream technology (? 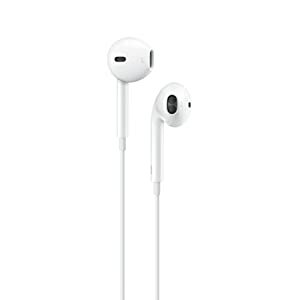 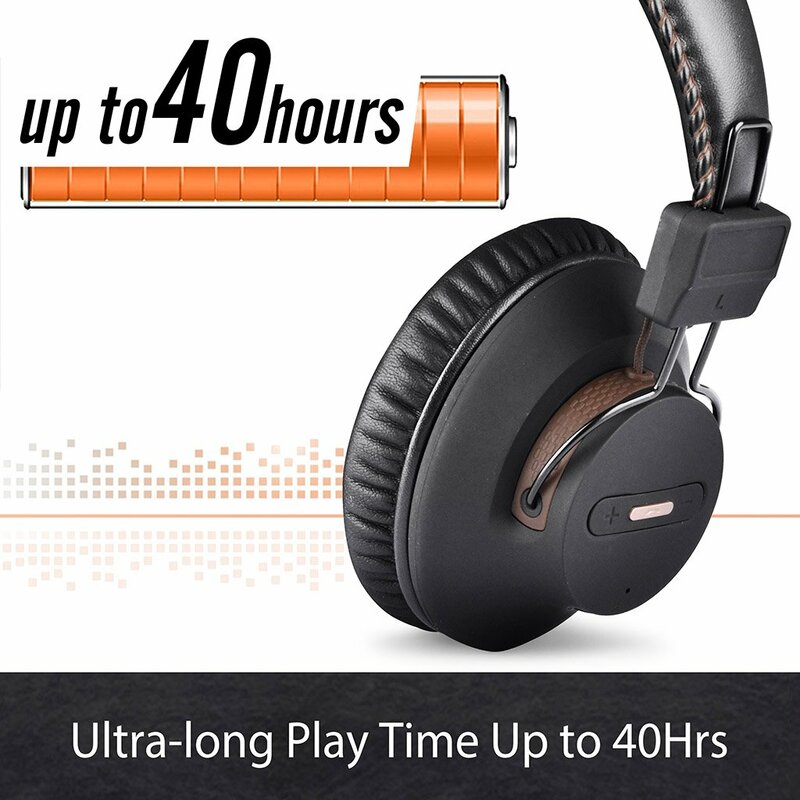 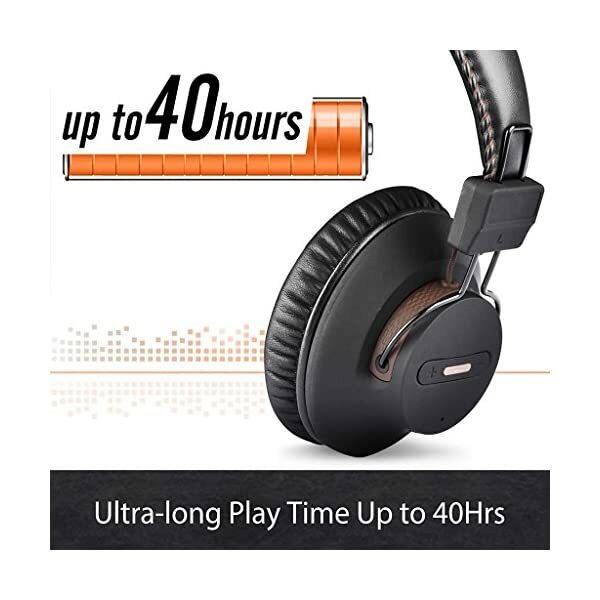 40ms latency), This set allows you to reduce Bluetooth delay – delivering high quality sound in perfect Synchronization. 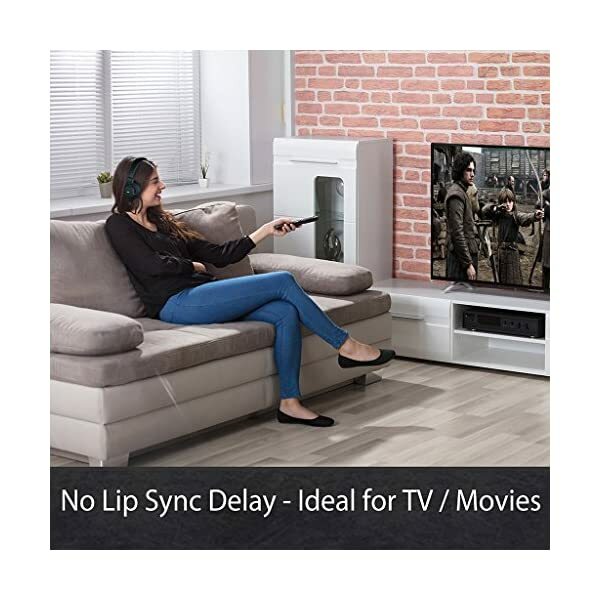 Ideal for watching TV and movies, HT4189 can also support 2 pairs of headphones simultaneously. 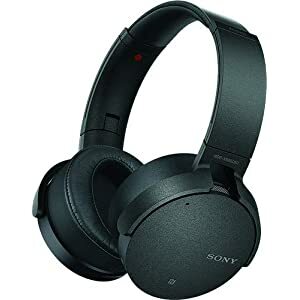 Note: the 2nd pair of headphones will also need to support FastStream Codec to ensure there is no delay (the following models all support FastStream: Avantree NB16, ANC031, ANC032 or HS063). 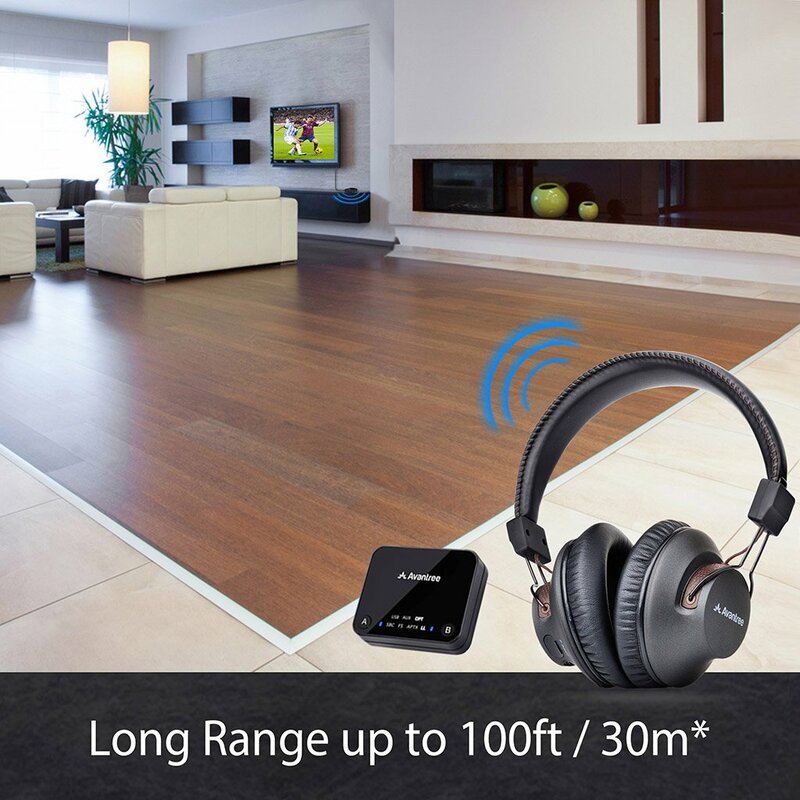 ?LONG RANGE USE?Featuring Bluetooth Class I technology, our Audikast transmitter works up to 100ft! 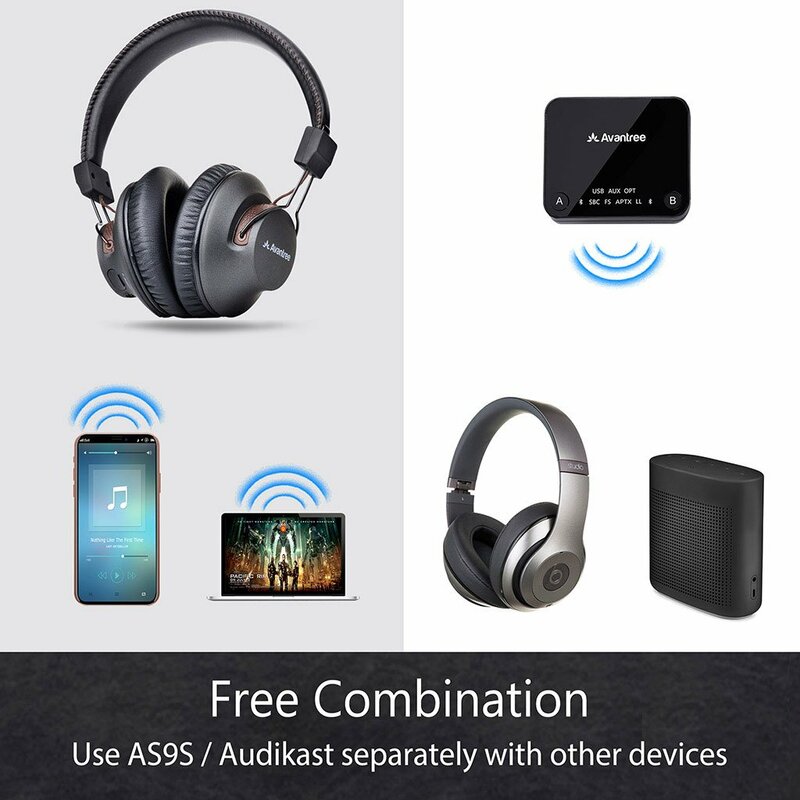 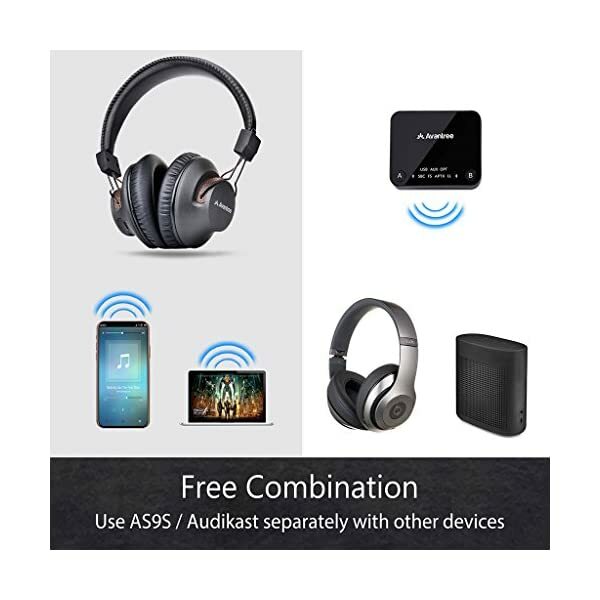 Though this range may be affected by physical or wireless interference, Audikast gives you the ability to roam free while you get the ultimate sound quality experience.